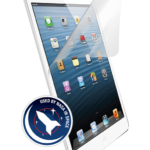 CLEARPLEX™ Custom Screen Protection has arrived. CLEARPLEX Screen Protection is one of the most popular screen protection options available for today’s market, and is offered by leading wireless retailers throughout the world, like Best Buy. Matrix Mobile has made a move to installing CLEARPLEX Screen protection in house in our stores. Custom Made Screen protection plans for all your devices, Applied In Store. We offer a seamless way to get ClearPlex installed, simply visit one of our locations and we can get ClearPlex installed in as little as 5 minutes. ClearPlex is completely invisible, self-healing, and completely scratch resistant, we have tested ClearPlex in our stores and we have found this to be the best screen protection in the industry as of today. If you have a newer Android it probably has a curved screen, and chances are its very tough to find a good screen protection solution. ClearPlex is meant for phones with curves. Its designed in a way where it wraps around the complete surface of the screen. No other screen protection solution on the market can do this. ClearPlex keep the smooth to the touch feel your screen originally had. It will feel just like your screen did.